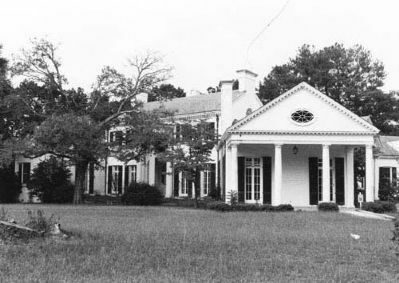 The coming of the railroad was a major factor in the birth of Aiken. The all-important cotton crop and Graniteville fabrics could get to market. 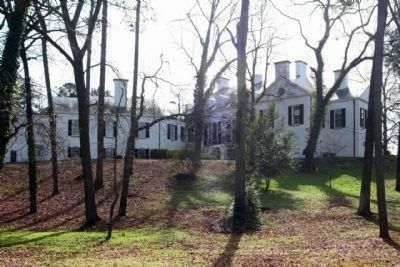 Add to life in Aiken a lady lonesome for her wealthy friends up North and you have the beginning of the Winter Colony in the 1930s, and 40s. With the Winter Colony came hunting and horseback riding, polo, golf, and tennis - a lifestyle that changed the area. This museum, "Banksia",was built in 1931 and named for the little yellow rose that climbs serpentine walls surrounding the house. With the passage of time, the Museum remained a centerpiece. 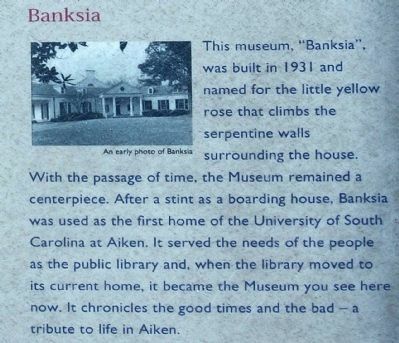 After a stint as a boarding house, Banksia was used as the first home of the University of South Carolina at Aiken. It served the needs of the people as the public library and, when the library moved to its current home, it became the Museum you see here now. 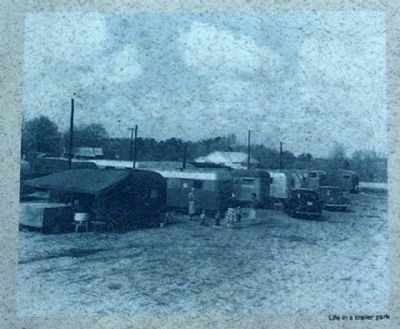 It chronicles the good times and the bad - a tribute to life in Aiken. Location. 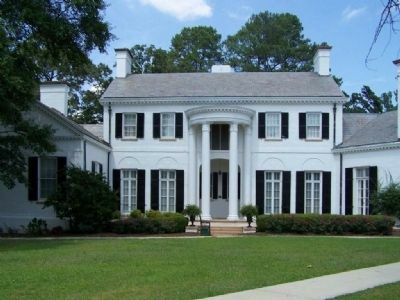 33° 33.267′ N, 81° 43.52′ W. Marker is in Aiken, South Carolina, in Aiken County. Marker can be reached from Newberry Street SW near 1st Avenue, on the right when traveling west. Touch for map. Located at the Museum along the parking circle, south lawn. Marker is in this post office area: Aiken SC 29801, United States of America. Touch for directions. Other nearby markers. At least 8 other markers are within walking distance of this marker. Aiken County Courthouse Bell (within shouting distance of this marker); Transit Of Venus Observatory Structure, 1882 (within shouting distance of this marker); Frederick Ergle Log Cabin (about 300 feet away, measured in a direct line); Water Trough and Drinking Fountain (about 300 feet away); The One Room Schoolhouse (about 400 feet away); Hitchcock Woods (about 400 feet away); Coker Spring (about 600 feet away); Hofmann (approx. 0.2 miles away). 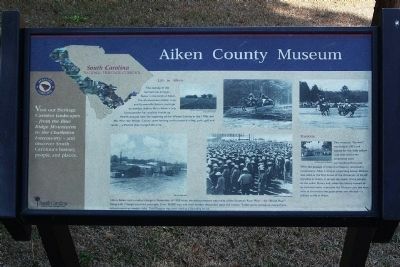 Touch for a list and map of all markers in Aiken. 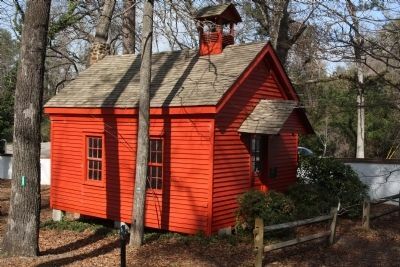 a 1890's one-room schoolhouse and a log cabin built in 1808. 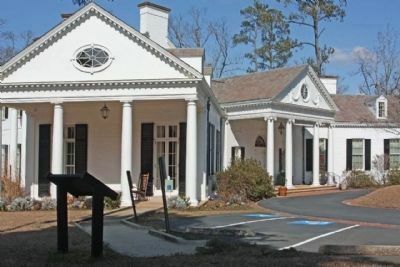 The purpose of the Aiken County Historical Museum, under the direction of the Aiken County Historical Commission, is to collect and preserve historical material relating to Aiken County, to display and interpret such information to the public. There is no charge to visit the Museum. Hours are Tuesday - Saturday 10:00 - 5:00; Sunday 2:00 - 5:00. 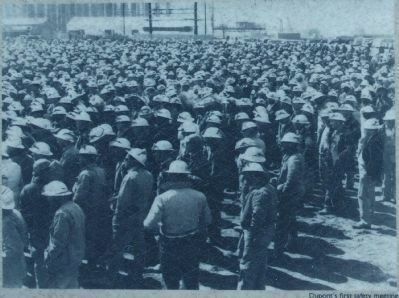 6. workers at "Dupont's first safty meeting"
Over 30,000 men and their families descended upon the county, the Savannah River Plant - the "Bomb Plant" being built. 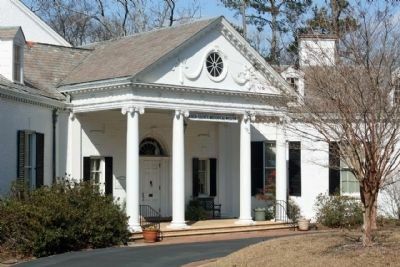 Banksia has 32 rooms, 15 bathrooms and a ballroom. More. 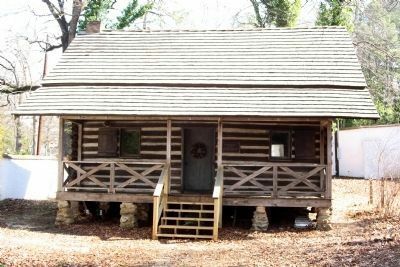 Search the internet for Aiken County Museum. Credits. This page was last revised on June 16, 2016. This page originally submitted on February 12, 2013, by Mike Stroud of Bluffton, South Carolina. This page has been viewed 636 times since then and 9 times this year. Photos: 1, 2, 3, 4, 5, 6, 7, 8, 9, 10, 11, 12. submitted on February 13, 2013, by Mike Stroud of Bluffton, South Carolina. 13. submitted on February 14, 2013, by Mike Stroud of Bluffton, South Carolina.